Iran says it has set up its first facility to track orbiting objects, according to media reports — a potential breakthrough that Western experts are doubtless already trying to verify. Iranian officials claim the space monitoring center — which is located near the town of Delijan, about 125 miles (200 kilometers) south of Tehran — will improve the nation's security and help it manage satellite activities, the Associated Press reported, citing information provided by the state-run Islamic Republic News Agency. "The base is aimed at securing the country's space facilities and monitoring space objects, especially satellites that pass overhead," the IRNA quoted Iranian defense minister Ahmad Vahidi as saying, the AP reported. The newly inaugurated center uses radar, electro-optic and radio tracking, Vahidi added. Iran is working to advance its space capabilities, with some recent successes. 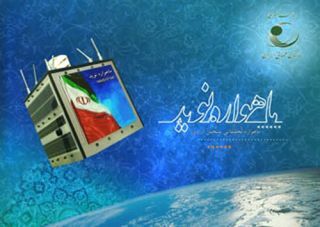 The Islamic Republic launched its first satellite to orbit in 2009, for example, then lofted Earth-observing craft in both 2011 and 2012. Iranian officials have also voiced big ambitions in the manned spaceflight arena, saying they want to send a human into space by 2020 and put an astronaut on the moon by 2025. The nation has taken a few halting steps toward these goals recently. While a 2011 attempt to launch a live monkey to space failed, Iran claimed success with a suborbital monkey flight this past January (though many Western observers remain unconvinced that it succeeded). Such activities concern officials in the United States and allied nations, as rockets used for space launches can be repurposed into intercontinental ballistic missiles. "Any space-launch vehicle capable of placing an object in orbit is directly relevant to the development of long-range ballistic missiles, as well as SLV [space-launch vehicle] technologies, and they're all virtually identical and interchangeable," U.S. State Department spokeswoman Victoria Nuland said in late January, after the suborbital monkey launch. The stakes are relatively high with cleric-ruled Iran, which is thought to be pursuing nuclear weapons and where officials have repeatedly called the United States "The Great Satan."